Cognition, Brain, and Consciousness, Second Edition, provides students and readers with an overview of the study of the human brain and its cognitive development. It discusses brain molecules and their primary function, which is to help carry brain signals to and from the different parts of the human body. These molecules are also essential for understanding language, learning, perception, thinking, and other cognitive functions of our brain. The book also presents the tools that can be used to view the human brain through brain imaging or recording. New to this edition are Frontiers in Cognitive Neuroscience text boxes, each one focusing on a leading researcher and their topic of expertise. There is a new chapter on Genes and Molecules of Cognition; all other chapters have been thoroughly revised, based on the most recent discoveries. 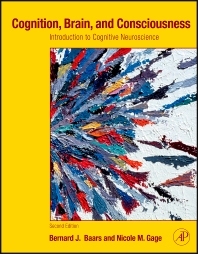 This text is designed for undergraduate and graduate students in Psychology, Neuroscience, and related disciplines in which cognitive neuroscience is taught. Rapid adoption and course preparation: A wide array of instructor support materials are available online including PowerPoint lecture slides, a test bank with answers, and eFlashcords on key concepts for each chapter. A textbook with an easy-to-understand thematic approach: in a way that is clear for students from a variety of academic backgrounds, the text introduces concepts such as working memory, selective attention, and social cognition. A step-by-step guide for introducing students to brain anatomy: color graphics have been carefully selected to illustrate all points and the research explained. Beautifully clear artist's drawings are used to 'build a brain' from top to bottom, simplifying the layout of the brain. An easy-to-read, complete introduction to mind-brain science: all chapters begin from mind-brain functions and build a coherent picture of their brain basis. A single, widely accepted functional framework is used to capture the major phenomena. Learning Aids include a student support site with study guides and exercises, a new Mini-Atlas of the Brain and a full Glossary of technical terms and their definitions. Richly illustrated with hundreds of carefully selected color graphics to enhance understanding. 3.3 Why are there such narrow capacity limits? 4.3 Is inner speech like outer speech? 4.4 Is there only one working memory? 7.1 Is working memory just re-activated permanent memory? 3.0 Theories of visual consciousness: where does it happen? 5.3 Visual detection: did you see it? 5.2 A separate system for music perception? 6.1 Does consciousness reflect a global workspace function in the brain? 6.3 Does consciousness require an experiencing self? 6.4 Why are conscious events reportable? 6.4 Prefrontal cortex – storage or process control? 3.5 Social cognition of others like and unlike us: I-It in the brain? 2.3 How did you get that big brain? Dr. Gage is a researcher at the University of California, Irvine, and the director of UCI’s Cognitive Neuroscience of Language Laboratory. 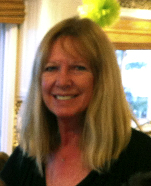 She actively teaches in the area of consciousness and cognition and is the coauthor, with Bernard Baars, of our highly successful graduate-level cognitive neuroscience textbook on which Fundamentals of Cognitive Neuroscience is based.